Cool, hip, stylish, off-beat and edgy – the Kapital K way. 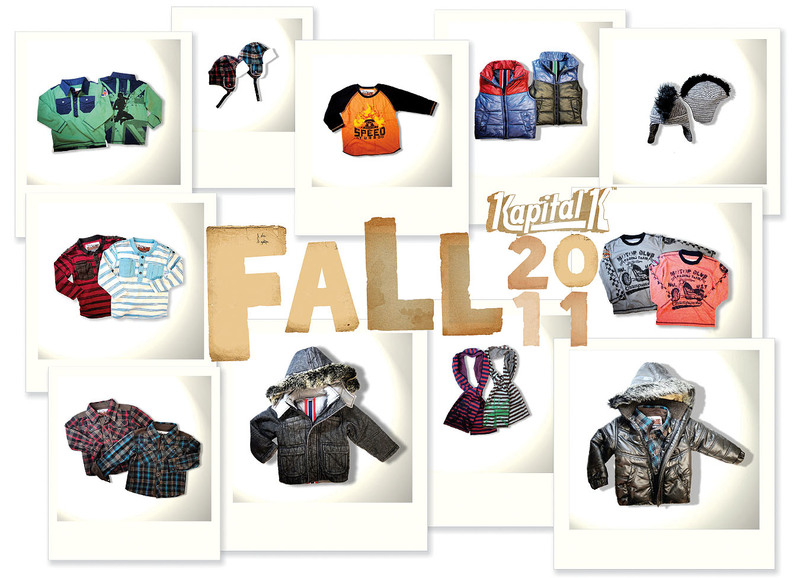 Kapital K is a boy’s clothing collection that focuses on mix & match, fashion-forward styles at an affordable price point. Inspired by the cool styles seen in today’s men’s fashion and keeping an active boy’s taste in mind, Kapital K collections are available in sizes 12 months to size 8 with wholesale price points ranging from $9 for accessories to $41 for outerwear. An attention to detail sets this collection apart, including fur-trimmed hoods, color blocking and striped double pockets. Inspired by rock n’ roll, car racing and sports, the fall/winter ’11 collection features t-shirts, button-downs, vests, pants, jackets, hats and scarves. Standouts include the suspender/bow tie shirt, color blocked shiny nylon vest, knit herringbone hooded vest and Mohawk trapper hat. 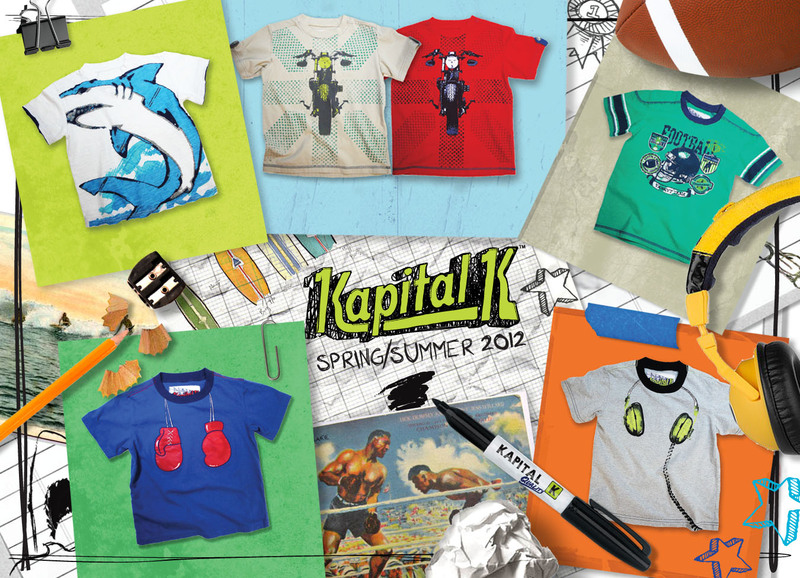 For the upcoming spring/summer ’12 collection, Kapital K features bold, eye-catching graphics of surfing, monster trucks, varsity sports and rock n’ roll; sharks, boxing gloves, and headsets are combined with soft, lightweight fabric for a casual-cool boys look. Now sold in fine retailers and department stores, including Barney’s and Fred Segal’s Ron Robinson.